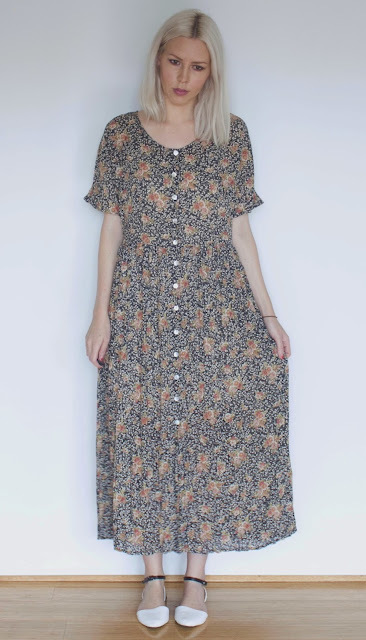 Here's the original 90's floral dress. Pretty fabric and buttons, but just not flattering in any way. 1. Trimmed sleeves a bit and used this method to hem them up. 2. Brought up the length using the same method. I left the rest of the dress as it was and it's amazing how much different/better it looks. I am IN LOVE with the fabric of this dress!!! Great refashion! beautiful refashion! i love all of your work. outside of that, would love to know where you buy your shoes, the cross-strap flats & beautiful lace-up boots here are gorgeous! What a beautiful dress. 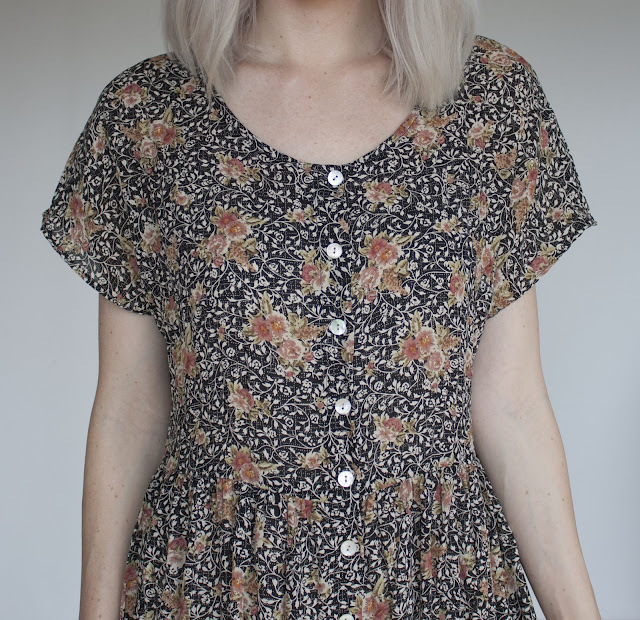 I am a fan of flower dresses. Being a fashion designer, I love to create flower dresses and skirts for myself too.